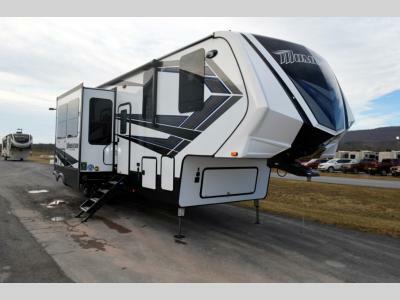 When the outdoors is all you think about, and you are looking for a weekend thrill, choose this Momentum M-Class 351M toy hauler fifth wheel by Grand Design. You will find plenty of space for a few off-road toys as well as there is plenty of comfortable living space throughout. 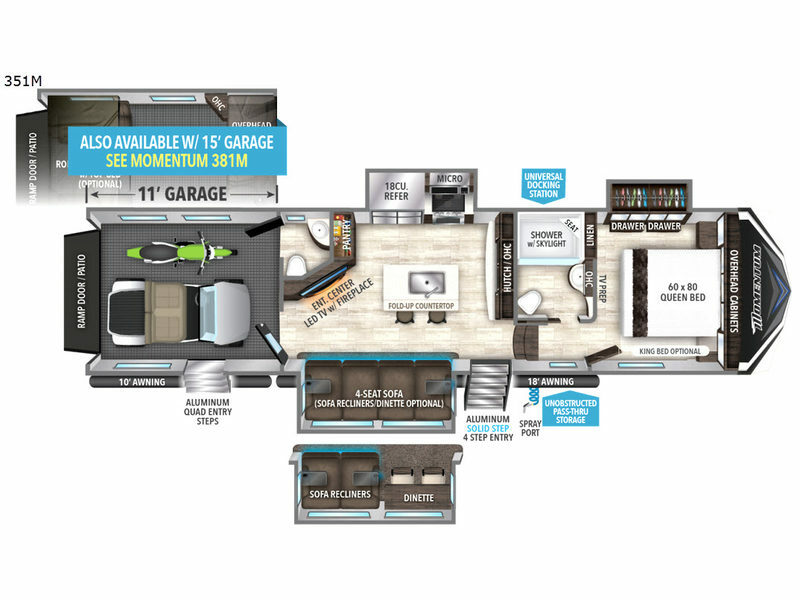 The garage features 11' of space for an ATV or dirt bikes, plus includes a half bath. There are also plenty of windows providing natural lighting in each area. The kids are sure to enjoy eating at the kitchen island on the bar stools, or watching the 49" LED TV above the fireplace. There are many more standard features to see!